TORONTO -- Ontario's environmental commissioner says fewer than one per cent of those who weighed in on the province's decision to scrap cap and trade expressed clear support for the move. Dianne Saxe says her office reviewed most of the 11,000 comments submitted as part of a public consultation on a bill introduced last year to dismantle the carbon pricing system brought in by the previous Liberal government. Saxe says almost all respondents wrote to voice support for decisive action on climate change and many were dismayed cap and trade was being cancelled, particularly before a replacement plan was announced. The legislation to eliminate the cap-and-trade system passed in late October, after the 30-day consultation concluded but before the results were made public. It was introduced in July but the final vote was delayed when an environmental group launched legal action against the Progressive Conservative government, alleging the province had flouted Ontario's Environmental Bill of Rights by failing to hold public consultations on the issue. The legal action will still move forward on allegations that the government also skipped mandatory consultations on a regulation related to the cancellation of cap and trade. The environment minister did not immediately respond to request for comment Wednesday. Saxe said respondents expressed concerns about a number of issues related to the cancellation of cap and trade. "The loss of clean economy opportunities was the most common concern expressed in the submissions. Many were concerned that weakening Ontario's climate policies would hurt investment in clean technology and risk long-term job creation in a low-carbon economy," she wrote. "A number of commenters shared stories about how they benefited, or had hoped to benefit, from programs that re-invested revenues from cap and trade. Some common examples included electric vehicle purchases and energy efficiency retrofits." The province made close to $3 billion from cap and trade since the system was introduced in 2017, money that was earmarked for green energy programs. Premier Doug Ford vowed to eliminate the system and fight Ottawa's carbon pricing plan during the spring election campaign, arguing both were too expensive for residents and businesses. 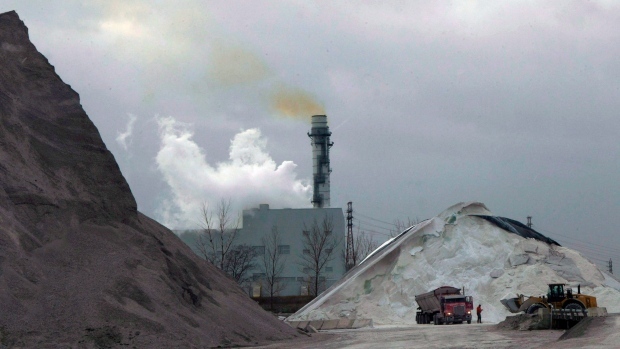 Ontario's cap-and-trade system aimed to lower greenhouse gas emissions by putting caps on the amount of pollution companies in certain industries could emit. If companies exceeded those limits they had to buy allowances at quarterly auctions or from other companies that came in under their limits. The province introduced a new climate change plan in November, one that proposes to use taxpayer dollars to spur private investment in clean technologies and create performance standards for large emitters.